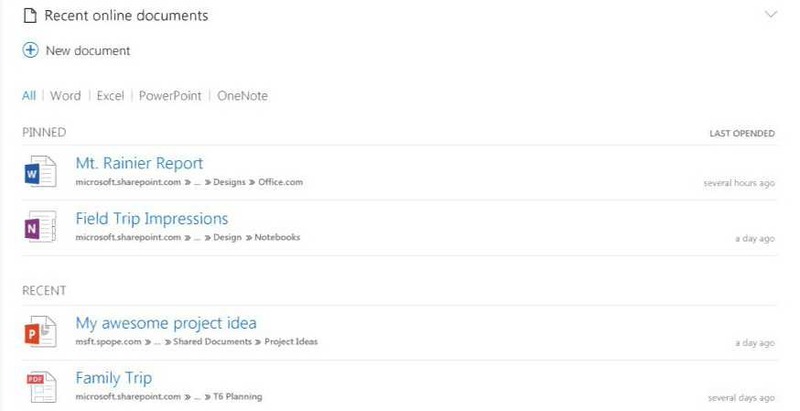 Office.com has received its first major update with few new features. The new update makes Office.com easier to use, like offering quicker access to recent docs and frequently used apps. Now your frequently used apps are displayed across the top of the page. As you use the apps, Microsoft will re-order and adjust the app icons to suit your uses. Also, the recent documents panel now allow you to filter what documents you want to see by their type: Word, Excel, PowerPoint or OneNote. You can also pin documents to the top of the panel. Finally, Skype for Business now includes a dedicated section of the Office.com homepage, which will allow users to keep track of all of their meetings from the homepage. You can now join meeting with a single click. You can also create lists of tasks that sync across Outlook on all of your devices. Office.com updates are gradually for everyone. If you’re not seeing the updates for yourself, Microsoft says they will continue to roll out through early 2017.